LEGO’s 8880 Technic Supercar of 1994 is one of the brand’s most iconic and legendary sets. The largest model ever sold (at the time), 8880 featured all-wheel-drive, all-wheel-steering, all-wheel-suspension, a working gearbox, functioning steering, pop-up headlights, adjustable seats, and a V8 engine, becoming the blueprint (and inspiration) for probably every Technic Supercar MOC that this site has ever featured. 25 years after the original release, newcomer Hitchhiker has updated 8880 for the modern age, using the latest studless parts and building techniques, whilst retaining the dimensions, colour-scheme and functions of the original set. Suggested to us by a reader, there’s more to see of Hitchhiker’s stunning 8880 Reloaded via ReBrickable, where a full gallery, video, and the all-important parts list and building instructions are available too. Click the link above to take a look. 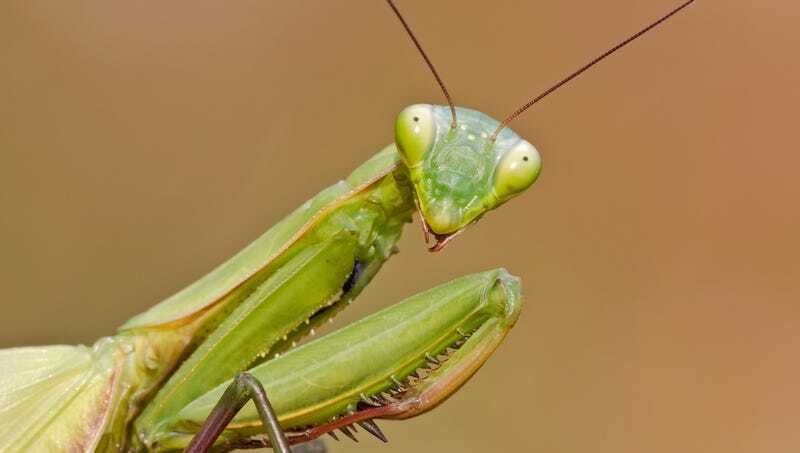 Here at TLCB we’re yet to be convinced by any of the multitude of supercar start-ups founded upon the dreams (and little else) of millionaires. Routinely released in ‘digital concept form’ (i.e. 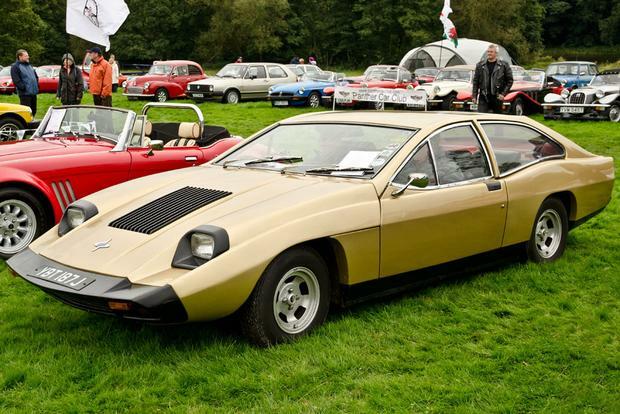 they don’t exist), these affronts to engineering are invariably touted to have somewhere near a zillion horsepower and a 300mph top speed, despite being based upon bits of old Lotus and someone else’s engine, and are usually named by someone with a mental age of four. Still, this Technic recreation of the $200K re-bodied Ariel Atom is something to behold. Built by previous bloggee Lachlan Cameron (who also built the cars found in the two links above) this Lego Rezvani Beast Alpha is a properly fine Technic Supercar, featuring remotely controlled steering and drive, working suspension, opening doors, and front and rear LED lights, amongst a host of other functions. There’s more to see of Lachlan’s Rezvani Beast via both Flickr and the Eurobricks forum – click the links to jump to the complete gallery of images and build specs. 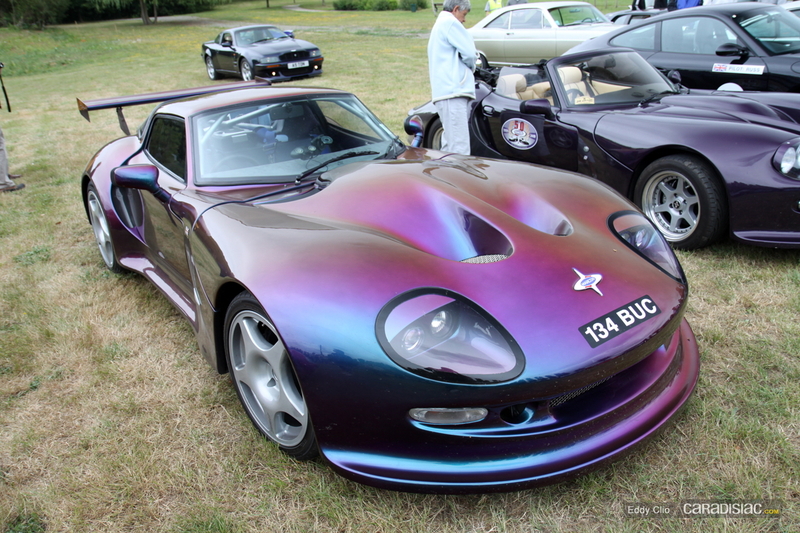 ‘Supercar’ is something of a blurry definition in the real world. With cars becoming ever quicker, what was once supercar-performance can now be had in a hatchback. And then there are hypercars, which make supercar-performance look like it belongs in a hatchback anyway. In the LEGO Technic world things are simpler. Here a ‘supercar’ can be any car, fast or slow, provided it has a minimum set of features. These models can of course be, er… supercars, like the Technic sets 8880, 8448, or the latest Porsche and Bugatti licensed models, but they could also be far more humdrum. Previous bloggee Thirdwigg (aka Wigboldy) has pitched his Technic Supercar somewhere in the middle, being a 6-cylinder sports sedan. Thirdwigg’s creation meets all of the Technic Supercar pre-requisites, with a complete drivetrain made up of a 6-cylinder boxer engine, a working gearbox and rear wheel drive, plus fully independent suspension on all wheels and working steering. There’s much more to see of Thirdwigg’s Technic Sports Sedan on Brickshelf, Flickr, and at his website, where there are instructions available too. Take a look via the links. It’s been a while since the last Mad Max post here at TLCB, but today one of the Elves returned a hero and our smelly little workers are all now crowded around the old TV/VHS combo in their cage room watching Mel Gibson smash stuff up. 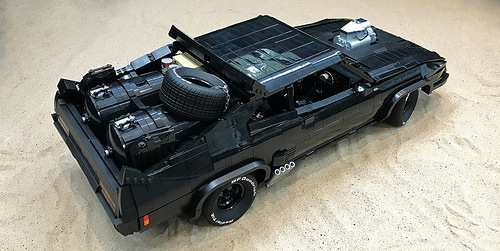 We have previous bloggee crash_cramer of Flickr to thank for the relative peace this has brought, and his huge 1:10 recreation of the V8 Interceptor from 1981’s Mad Max II – The Road Warrior. Underneath the superbly accurate exterior is a working V8 (with supercharger), functioning steering and live axle suspension, courtesy of some custom curved lift-arms. 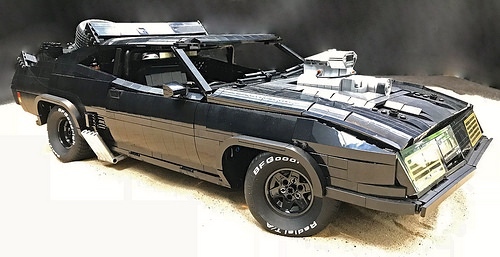 There’s more to see of crash-cramer’s epic build at his photostream, and if you’d like your own Mad Max Interceptor (albeit rather smaller) then check out the excellent custom kit from Manner-Spielzeug here. Built by brunojj1 of Eurobricks, this incredible 1:8 model of McLaren’s flagship hybrid hypercar measures over 70 studs / almost 60cm in length and is constructed from over 3,000 LEGO pieces. Bruno has designed two different versions of the model, one manual and the other remote controlled, and he’s made instructions available too. Both variants have adjustable front and rear suspension, opening butterfly doors, hood and engine cover, a working V8 engine, and a deployable airbrake/active rear spoiler. The remote control version adds a suite of Power Functions motors to electronically operate the suspension, airbrake/spoiler and doors, plus drive and steer the model remotely. Two on-board LiPo batteries or third-party BuWizz bricks provide the power, whilst twin SBricks allow the McLaren’s working functions to be controlled via a mobile device. A huge gallery of images is available to view through the Eurobricks discussion forum, where you can also find a link to Bruno’s McLaren P1 building instructions and watch a video of the remote control version of the model in action. Find out more by clicking here, and you can read our reviews of the third-party BuWizz and SBrick parts used in the McLaren via the links in the text above. The average Bugatti owner has at least another fifty cars at his or her disposal. That means there’s a good chance they own one of these too, McLaren’s brilliant 570S. Well now – if you’re a LEGO Bugatti owner – you can too, because previous bloggee Lachlan Cameron has created this stunning McLaren 570S Spider purely from the parts found within the 42083 Technic Bugatti Chiron set. Built in collaboration with two other previous bloggees, Lachlan’s 42083 B-Model features an 8-speed gearbox with neutral and reverse, a V8 engine, working steering, suspension, LED lights, plus opening doors, hood and engine cover. There’s much more to see of Lachlan’s amazing Spider at the Eurobricks forum, and you can see all the images at the Flickr album by clicking here. Some cars are remembered for having one defining feature. The Austin Allegro’s square steering wheel for example, or the Tyrrell P34‘s extra wheels, the ’63 Corvette Stingray‘s amazing rear windows, or even the FSO Polonez‘s universal crapness. The mid-’80s to mid-’90s Ferrari Testarossa was another such car, and you can probably guess what its defining feature was from these images. Jeroen Ottens has built the Testarossa’s unique side strakes – along with the rest of the car – as a commissioned piece, and an incredible job he’s done too. Those amazing strakes are built from stacked Ninjago blades, capturing the Testarossa’s stand-out design feature brilliantly. The beauty of Jeroen’s build isn’t just on the outside either, as underneath the superbly replicated body is a flat-12 engine, 5+R gearbox, all-wheel independent suspension, working steering with Ackermann geometry, pop-up headlights, adjustable seats, and opening doors, hood and engine cover. There’s much more to see of Jeroen’s stunning Technic Ferrari Testarossa supercar on both Flickr and Eurobricks – click the links to see all the images and to read Jeroen’s details on the build.